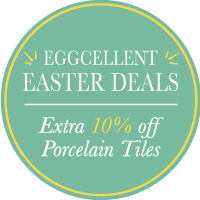 We have carefully designed and selected our range of porcelain floor and wall tiles to link with the latest design styles to give your home or project a fresh, fabulous look. You will find the inspiration you need for your kitchen, bathroom or living room makeover. Perfect for introducing an industrial chic style into your home or lux marble effect glamour, our range provides you with the latest cutting edge design, the highest quality and most of all - fantastic prices. Our selection covers polished porcelains that include our Royale porcelain in light grey, dark grey and vanilla; a full bodied polished porcelain range that brings exquisite style and premium quality at a fraction of the cost found in high street retailers. Marble effect porcelain wall and floor tiles allow you to create a luxurious look without the on-going maintenance associated with real marble, available in Calacatta, Carerra and Italian marble influenced styles, our collection is pre-sealed for ease of fitting, so you will be able to create the look you’ve been dreaming of with ease. Our stone effect range of porcelain tiles offer a range of tiles that provide you with slip resistance for the busy family or high lux shine, both reflecting todays design trends. Influenced by real marble, limestone, slate and granite our stone effect porcelain floor tile collection lets you bring a touch of the outdoors indoors. Hard-wearing and easy to maintain they are perfect for seamless designs. If you are looking to create an urban look in your home our concrete effect floor and wall tiles have modern tones of steel grey and warm beige, perfect for introducing an industrial chic style into your home or project. Our range of New York and Loft porcelain floor tiles have higher slip resistance so you can flow them through your interior to your exterior patio too; stunning quality tiles at an affordable prices. Why not take a look at our wood effect porcelain tiles; they are extremely versatile as they can look equally as great in a bathroom or bedroom as well as a kitchen or living area. A great alternative to natural wood, as wood effect plank tiles are cost effective and so easy to maintain, unlike real wood which will extra treatment overtime. Our range is produced in Europe with the latest ink-jet printing technology so we have captured vintage washed effects, tonal grey colours to bring you the latest design trends. Why choose porcelain tiles? Porcelain is tough, so whatever you or your family throw at it, chances are it will stand up to the test. Porcelain tiles can also have added slip resistance and can be used with under floor heating systems, making them ideal for the modern, practical home. You can transform the appearance of a room and even transform your walls with coordinating porcelain wall tiles for an instant wow factor. So don’t miss out! Find a great porcelain tile buy within our range, read through our installation guide, and make a great addition to your home.